Gravity-Spot is a must have All Tube High Gain Tool for every demanding Guitar player. This pedal can provide a natural feel and sound, from classic Rock sounds to hard overdriven riffs and endless sustain solos. Gravity-Spot is a must have All Tube High Gain Tool for every demanding Guitar player. 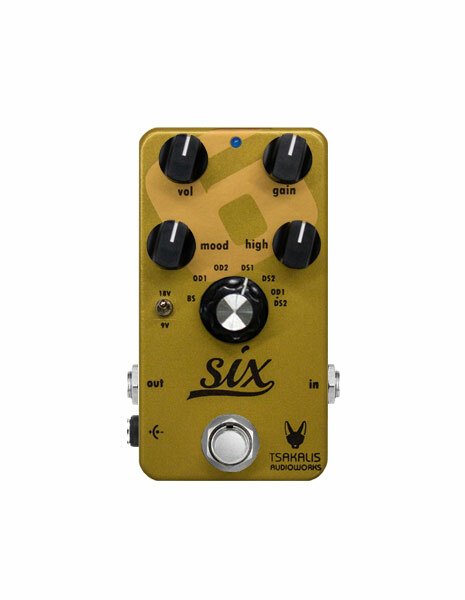 This pedal can provide a natural feel and sound, from classic Rock sounds to hard overdriven riffs and endless sustain dolos. Gravity-Spot is a 100% handmade pedal and all components are carefully selected and crafted. It is armed with 2xECC83s tubes in cascade mode running at very high voltages providing big headroom, physical compression and sensitive touch, so every note you hit has an unbelievable magic! 2 separate channels with independent Gain and Volume controls, sharing a 4 control eq, are capable for delivering many many configurations on stage and recording. Each channel has 3 modes for Gain: Low – Mid – High and 3 modes for Voicing: Deep – Normal – Bright. The equ is a standard British configuration with Bass – Middle – Treble & Edge controls. With the Edge control you can manage the whole tonality of the pedal to your tastes. Internal trimmer for high voltage micro-adjustment. With this adjustment you go from Brown sounds to modern bright styles.